How, then, to acknowledge the silent majority of the society? How to imagine a reality that is not based on exclusion but gives equal standing for all? In the criminal court case “State versus Perho hunters,” a group of fifteen people from Western Finland were recently put on public trial for killing wolves. After pleading their case, unsuccessfully, the jury sentenced them to imprisonment for a fixed period of at least eight years—a lucky verdict, as they narrowly escaped receiving life imprisonment for murder. During the testimony and cross-examination of the defendants, the jury heard extensive debate about whether the loss of life was justified, as the defendants claimed they were merely protecting the community’s children and livestock and maintaining public safety. Ultimately the jury favored the prosecution’s narrative predicated on the rights of the animals to be protected from unnecessary harm. The judges were asked to give their verdict on the perpetrators’ punishment. 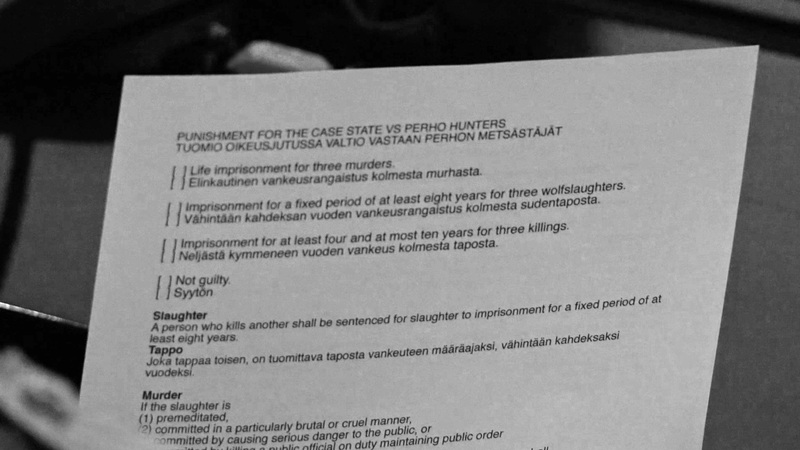 If found guilty, the options were as follows: life imprisonment for three “murders,” if the destruction of life was premeditated, cruel, or dangerous; imprisonment for at least eight years for the “slaughter” of three wolves; or imprisonment for four-to-ten years for the three “killings” under mitigating circumstances. The judges are also asked to decide whether or not compensations should be given to the Perho wolf pack. Of course this wasn’t a real lawsuit, but rather a theatrical enactment (though one modeled upon an actual case that occurred recently in Kokkola, based on an incident that had happened in Perho, Finland). As such, it provided a brief glimpse of an alternate reality, an “autre-mondialisation” as the French would say, an other-worlding that brings a biocentric legal order into operation, one radically different from today’s dominant forms of jurisprudence that support corporate globalization, military neoliberalism, and the financialization of nature. 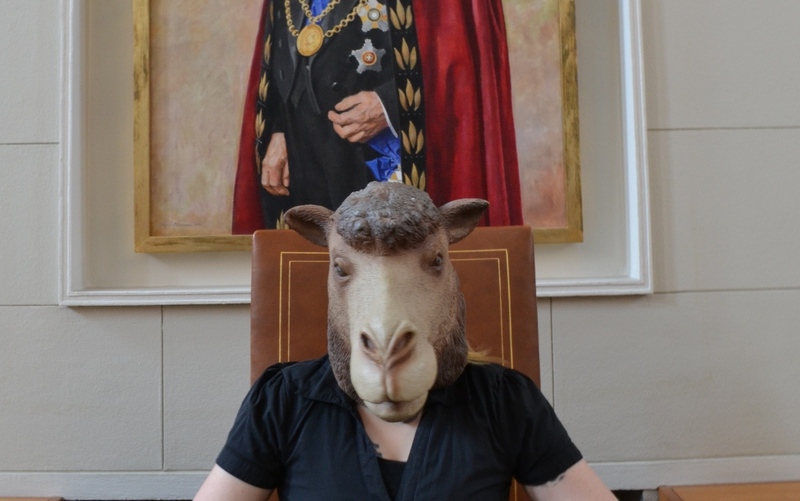 The Trial, 2014, part of the project History of Others, by Terike Haapoja and the writer Laura Gustafsson, constructs an imaginary juridical system that grants animals legal standing, questioning in turn why animals have no representations in today’s real courts when they are victimized, and suggesting analogies with human history when oppression was exacerbated by exclusion from representation, by denying certain groups of people a voice. In this parallel universe, animals are not relegated to the status of “natural resources” available for limitless human exploitation, or props in landscapes to be enjoyed aesthetically, or food for human consumption. Instead they are granted rights in legal courts. As such the project fits into the contemporary movement that supports establishing the “rights of nature,” which pushes the legal system toward a model of Earth jurisprudence that is post-anthropocentric. Countering human exceptionalism, The Trial challenges the idea that we humans stand apart from the natural order, one based presumably upon drive, instinct, and automatism, distinguished from the human possession of intelligence, language, and self-consciousness, which grants us special status. 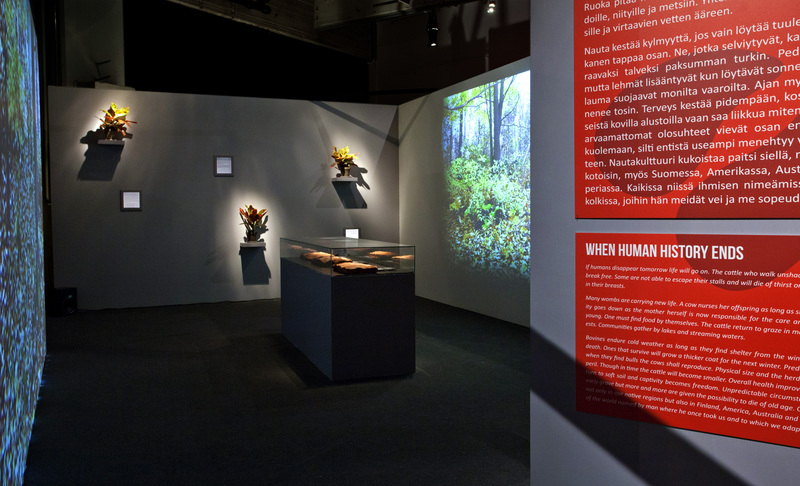 As such, the project models an innovative cosmopolitics—an experimental way of instituting social relations, establishing commonality, and ordering knowledge about the world—that forms the basis of Haapoja's aesthetic work. Her modeling of artistic play thereby provides a creative re-arrangement of institutions and the restructuring of values, which proposes paths for living differently in a very different world. Developing a related set of principles from that basis, Haapoja’s art to date includes a range of works dedicated to the non-represented, and to inventing new ways to counter their exclusion. 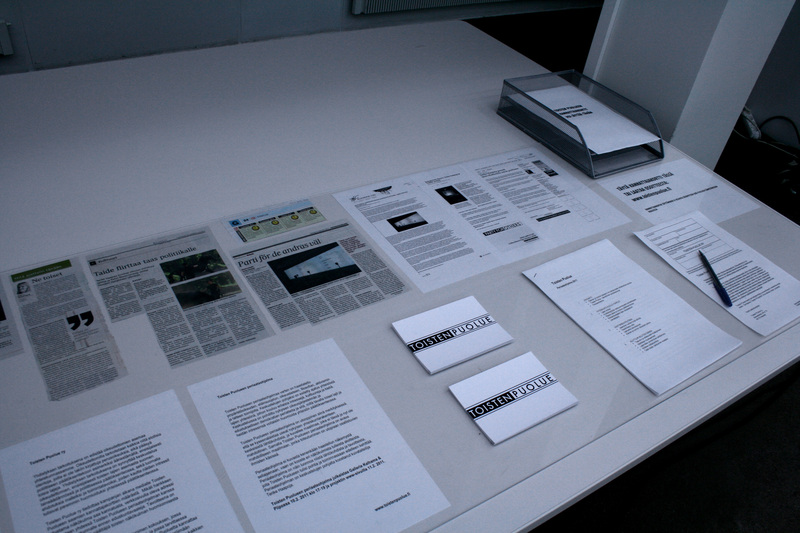 These include works such as Party of Others (2011) and History of Others (2013-ongoing, in collaboration with Gustafsson), the latter unfolding to a series of related projects such as The Museum of the History of Cattle (2013) and The Trial. In addition to future pieces planned for 2016 like Museum of Nonhumanity, all contribute to a rebellious attempt to found a new “ethico-aesthetic paradigm,” in Felix Guattari’s terminology, that is psychic and social as much as institutional and environmental, which moves beyond the grips of anthropocentrism. The problems with anthropocentrism are today increasingly familiar in cultural discourse. The belief system that places human beings at the center of the universe has sanctioned environmentally destructive practices ever since the Western Enlightenment established humans’ autonomy from and sovereignty over nature. These days that separation is seen to be based on false and outmoded assumptions. Indeed, it is the ideology of endless growth, which takes the natural world as endlessly exploitable for human industry, justified by beliefs supporting the human mastery of the earth, that is causing havoc in the planet’s natural systems, havoc driven by petrocapitalism’s buildup of greenhouse gases in the atmosphere, the industrialization and destruction of biodiverse forests and oceans, the unequal effects of climate change, and the corporate piracy of biogenetic capitalism. As Michel Serres contends, we’ve been “at war” with nature for hundreds of years, without much consideration for how our various onslaughts—justified by scientific paradigms, religious beliefs, ethical assumptions, colonial missions, and corporate charters—would impact the earth’s biosphere. The situation is leading toward catastrophe, delivered by warming weather, sea level rise, desertification, habitat loss, and species extinction, many of which are already upon us. Yet even though oil exploration in the Arctic, military campaigns in the Middle East, fracking in the US and Europe, and mining and deforesting in equatorial regions all continue disastrously in the present, the underlying anthropocentric assumptions that rationalize such activity have increasingly been challenged theoretically over the last few years. They have even been critically surpassed in numerous disciplines such as science studies, anthropology, philosophy, and multi-species ethnography. In current research, for instance, homo sapiens have definitively lost their evolutionary exceptionalism and biological integrity: “human nature is an interspecies relationship,” explains Anna Tsing; “Becoming-with, not becoming, is the name of the game,” says Donna Haraway. At the same time, animals are gaining ground, viewed increasingly as possessing their own distinct cultures, communication systems, and individual personalities, even as they are increasingly situated in intra-species contact zones of natural-cultural intersection with humans. They are also taken to have something important to teach us humans about politics. In this regard, Haapoja’s work forms part of an expanding, interdisciplinary constellation of practice and thought whose members are positing new ways of being in the world, where both “being” and “world” are at stake, subjected to a creative post-anthropocentric reinvention. While “others” remains a shadowy term in her work—potentially indicating a lesser-than-human identity—it is used self-consciously to highlight the problem of absenting some from the status of valued life, and to draw critical scrutiny to the historical problematic upon which it is based. The goal is nothing less than establishing the experimental terms of a new political commonality. 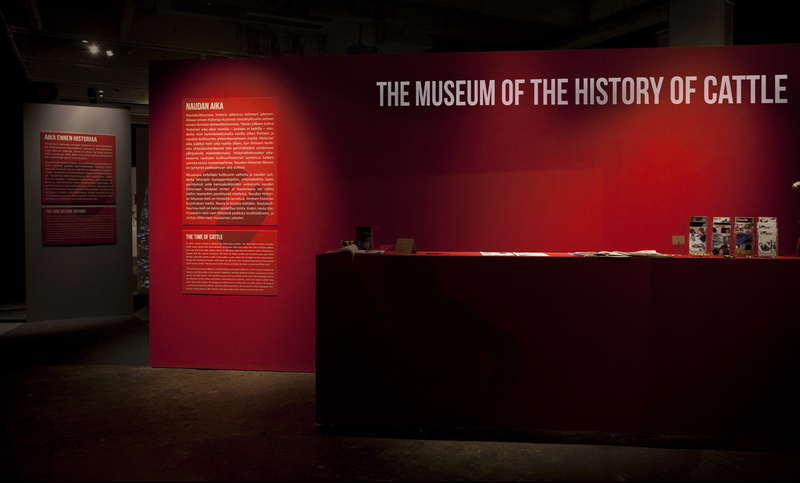 The History of Others is an art and research project that comprises numerous elements, including exhibitions and publications, performances and experimental institutions. Bringing these elements together, the project investigates the lives and experiences of non-human animals and endeavours to look at that history from the perspective of non-humans. By implying that such others—such as cattle—have a history and a culture, the project adopts an innovative methodology that rejects the assumption that history and culture, which differentiate being across time and space, belong uniquely to humans. It also reinvents institutions that have historically been responsible for driving the divisions between humans and non-humans. Giorgio Agamben calls such institutions part of an “anthropological machine,” one responsible for determining the modern biopolitics that establishes and regulates what is considered human and inhuman, what participates in bios and zoe, political life and animal life. Its workings through various institutions and legal systems, modes of governance and popular mythologies—all interlinked ideologically—has determined who is to be saved and who can be killed, a machine wielded at various historical times to dehumanize certain groups of people (i.e. slaves, Jews, Indigenous, women) by their comparison to nonhuman animals, and render their destruction possible. Indeed, how we define ourselves, the world, and our place in it, is continually valued, categorized, represented, and regimented through an assortment of institutions, such as governmental political bodies, legal forums, scholarly disciplines, and assorted museums—the very institutions that Haapoja together with her collaborators works across in order to develop her own post-anthropocentric practice. To counter the violent logic of such politico-ontological divisions, Haapoja created Party of Others in 2011, an organization for those who have no political representation in human systems of governance, primarily animals (but also including the human excluded). As her 2011 “Statement of Principles”—an articulation of the party’s platform, formed from a collective process of interviews—puts it, “The Party of Others speaks for all those who don’t have a voice in social decision-making but who are nevertheless affected by the decisions: production animals, pets, wild animals, natural diversity as well as ecosystems such as rivers, swamps, mountains or forests.” As such, the Party, an ethico-aesthetic construction yearning for actual governmental existence, was unfurled in the course of Helsinki’s 2011 parliamentary elections, working in support of the intrinsic value of animal life and natural systems (it is meant subsequently to expand to other possible locations, such as Mexico City, Guatemala, and New York). In the place of exploitation enabled by non-visibility and dehumanization, its agenda creates the conditions of inclusive representation and premises happiness upon the values of social equality, diversity, and inter-species understanding. To theoretically position Haapoja’s project, one might say that it answers the challenge of Bruno Latour, specifically where he calls for a new ecology of politics directed toward “the progressive composition of a common world.” It does so via a newly inclusive legal system, forming a progressive composition of commonality by extending representation beyond the human, constituting what Stefan Helmreich terms a “symbiopolitics,” a politics based on the “governance of entangled living things.” Whereas animals have been historically objectified and instrumentalized for human use and enjoyment—whether as food, raw materials for industry, domestic pets, or parts of landscapes for aesthetic enjoyment—in Haapoja’s project, animals are granted legal standing in courts of law, so that they share agency and are regarded as subjects in legal institutions, as well as partners in political parties—an approximation of the legal institutionalization of an entangled natural-cultural assemblage composed of distributed representation and subjective recognition. In this regard, such an institutional innovation challenges the destructive social, political, and ontological divisions that construct “Others,” or, as Haraway puts it, “the discursive tie between the colonized, the enslaved, the noncitizen and the animal—all reduced to type, all Others to rational man, and all essential to his bright constitution,” which “is at the heart of racism and flourishes, lethally, in the entrails of humanism.” Haapoja’s project thus counters the anthropological machine that has engineered so many modern pogroms, genocides, and institutionalized modes of discrimination, doing so by transporting “others” from the realm of “bare life” (stripped of political identity and killable on that basis) to that of bios (inseparable from biographical and political life)—forming the artistic blueprint of an intertwined post-anthropocentric political legality, anthropology, and museology. Now we live inside the factory. It has become impossible to pass on any heritage. Calves are taken from us immediately after being born, and family lines are scattered out of our sight. We do so little that all our culture and habits have faded to nothing. We no longer learn from our mothers, but from the machine that tells our bodies how to stand and how to eat. Stuck in the industrial process we live in collective isolation, cut off from all relations that could anchor us to time, history, or culture. Supplementing this latter period are photographic portraits and family trees of individuals like “Haukilammen Joplin,” drawn from modern heifer genetic breeds, as well as written accounts of cattle on beef and dairy farms, and statistics on cattle demographics corresponding to different parts of the world and detailing the growth of twenty-first century cattle population in India, and declines in the US and Finland. This contemporary era defines a multispecies entanglement and contemporary biopolitics (or better, an animal “necropolitics,” the governance of death among nonhumans), located in a period of the industrialization of livestock, where economics, and the architecture of feed lots, animal-based economies, and political organizations have had major negative effects on what cattle have become in a world that denies them any form of sovereignty, culture, or rights. “How might history look through the eyes of a nonhuman species—a species that has played its own contributory role alongside the human race in the unfolding plot that we call history?” Addressing this question, the project attempts to avoid falling into a naïve anthropomorphism, as much as is possible, and equally resists repeating the disenfranchisement of animals, reduced to voicelessness, abandoned to a world of what Eduardo Kohn terms “ontological autism”—an existence limited to one’s own immediate experiential environment without communicative connection to other species (a condition that applies to some humans as well). How, in other words, can animals be viewed as more than mere objects without subjective reality, culture, history? In this regard, The Museum of The History of Cattle endeavors to consider history through the eyes and interests of animals, thereby cultivating human sensitivity to what transcends human reference. While it uses presentations to document the history and experience of cattle that are built for human visitors, the museum is one that remains attentive to the “gestures, experiences, feelings and subjectivities” of cattle, in opposition to the “objectified taxidermied animals that we displayed in museum cabinets,” which reveal little about actual animal culture. At the same time, the museum accepts the limitations of its project. For instance, by employing human language and written texts in order to convey the experience and history of another species for human viewers, it also problematizes the ultimate inadequacy of that very gesture: “We may not be able to vicariously re-experience how cattle see the world, but we can at least distance ourselves from our normative perceptions of our fellow human beings and other animals,” write Gustafsson and Haapoja in their introduction to the Museum’s catalogue. 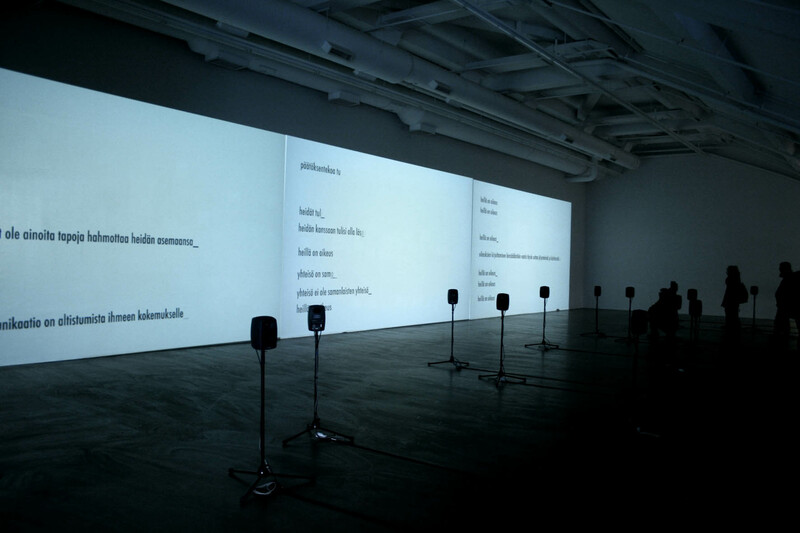 At the same time, the project inevitably raises the difficulty of “speaking for others”—a longstanding challenge regarding representation and unequal agency when it comes to the disparity between people who have the right, social and class status, and education that affords access to speech, and those who have no entrance to collective systems of representation (a disparity put in place by colonial relations, or perpetuated through inequalities of race, wealth, and gender). Here it relates to animals. “Can the subaltern speak?” Spivak famously asked, which Eben Kirksey and Stefan Helmreich, attentive to inter-species relations, rewrite as: “Can the non-human speak?” In some ways this problem reiterates Jacques Derrida’s question, posed in his late essay “And Say the Animal Responded?,” asking how to consider the animal’s lack of humanly configured communicative abilities as other than a “privation”? Yet recent theorists have gone far beyond that question, investigating the communicative capacities of animals. For instance, Donna Haraway discusses the question in relation to the research of bioanthropologist Barbara Smuts, whose essay entitled “Embodied Communication in Nonhuman Animals” (2006) analyzes baboons’ greeting rituals. A common touchstone is Gregory Bateson’s studies of animal play, which he saw as subtending both human and nonhuman expression insofar as play is fundamentally communication about relationships and the material-semiotic means of relating to another. Or consider recent work about “insect poetics,” animal storytelling, and “narrating across species lines”—all of which resonates with the project's aims. Building on such innovative work, theorist Brian Massumi has approached the question of whether “the non-human can speak” from still another angle, not so much by extending human communicative systems to animals, but by arguing that human communication is itself grounded in animal play: “The prehuman, preverbal embodied logic of animal play,” he contends, “is already essentially language-like.” If so, humans should be placed on the same continuum as animals, rather than being set apart ontologically. Insofar as play differs from instrumental activity (just as play-fighting is not actual fighting), it defines a communicative structure realized via aesthetics, materializing a metacommunication that supplements signs, which exemplifies the expressive aspect of play. This capacity, for Massumi, is fundamental to animal creativity, sociability, and expressivity, whereby play doesn’t so much base itself on real-life activities, but rather defines an area of creative experimentation that constructs the very terms of those activities. Play opens a realm where reality and one’s relation to it is in effect constructed, defined, and established. It is on this basis that we can envision “a different politics, one that is not a human politics of the animal, but an integrally animal politics” from which humans can learn. In this regard, such a conceptualization is different from Latour’s extension of human political representability to nonhumans, as Massumi’s proposes ways to resituate humans on an animal scale and constitute democracy on that basis. While this opens up a range of practical questions—for instance, how can we create a politics mediated by human and nonhuman languages and play? And how would this recognition revise inter-species relations?—one lesson I draw from his text is that we humans shouldn’t so much “speak for” our animal partners in the formation of a new inclusive governmental politics, as learn to listen to nonhuman languages in order to consider other forms of life and build a symbiopolitics on those grounds. That process lends itself to constituting a milieu that is co-constitutive, opening new modes of becoming where we can no longer assume that our own form of communication is the only and best one. It is this experimentation that Haapoja’s projects initiate, acknowledging its necessities and its challenges. 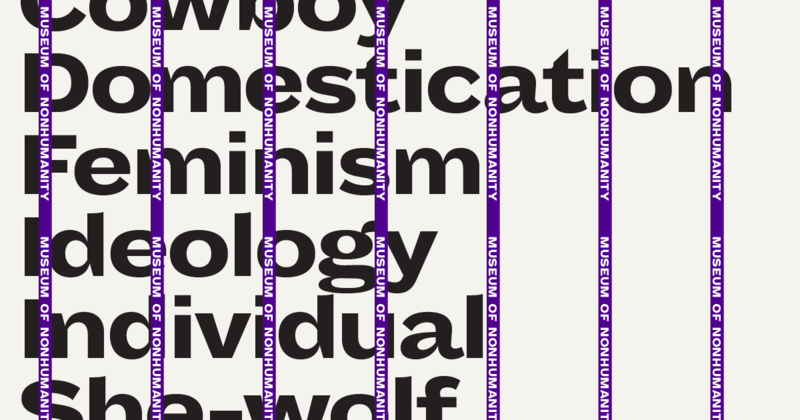 As such, Haapoja and her collaborator's institutions, at their most experimental potential, propose a zone of indeterminacy between the human and the other-than-human, between institutions created by and for humans and those created for new collectivities that surpass such species divisions. Such work does not simply expand human systems to the animal world. More, the work queries the very borders between human and nonhuman, enacting a form of aesthetic play—and indeed The Trial is a play of experimental theater—which is inherently animal. “Play is the arena of activity dedicated to the improvisation of gestural forms, a veritable laboratory of forms of life,” writes Massumi. In other words, play brings the world into formation, and allows us animals to test and innovate skills. It functions as a creative act that generates constructive real-life applications and is at the basis of language itself. If so, then we have an approximation of the creativity of aesthetics in Haapoja’s case—not simply an extension of human institutions to animal subjects, but an experimental activity that is intrinsically animal. In opening up a series of questions about potential post-anthropocentric worlds, it implicates us all in a series of creative multispecies becomings. 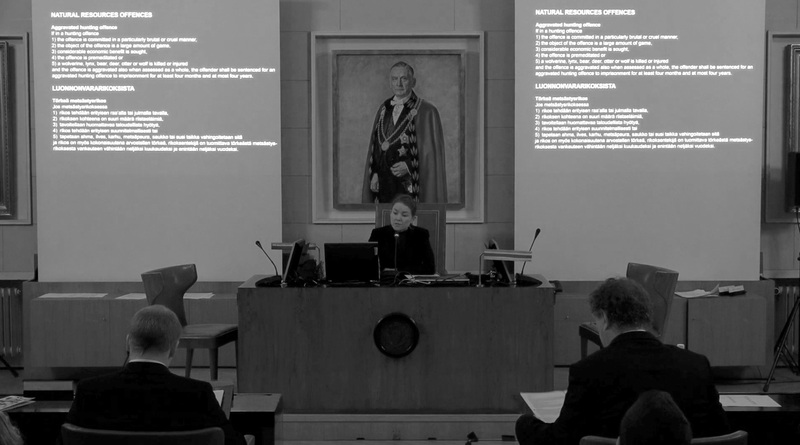 In this sense, The Trial exemplifies the stakes of Haapoja’s work in general, figuring as a case of play that remakes the world. * This essay will be published in Invisible Realities, an upcoming publication on Terike Haapoja's work. For further elaboration, see Cormac Cullinan, Wild Law: A Manifesto for Earth Justice (Claremont, SA: Green Books, 2002); Peter Burdon, ed., Exploring Wild Law: The Philosophy of Earth Jurisprudence (Kent Town, South Australia: Wakefield Press, 2011); and Maude Barlow et al., The Rights of Nature: The Case for a Universal Declaration of the Rights of Mother Earth (Global Exchange, the Council of Canadians, The Pachamama Alliance, and Fundacion Pachamama, 2011); and my catalogue essay for Rights of Nature: Art and Ecology in the Americas, the exhibition at Nottingham Contemporary, 2015, curated by TJ Demos, Alex Farquharson, with Irene Aristizábal, available here: www.nottinghamcontemporary.org. For one useful articulation of cosmopolitics—the politics of building a common world—see Isabelle Stengers, “The Cosmopolitical Proposal,” in Making Things Public: Atmospheres of Democracy, ed., Bruno Latour, Peter Weibel (Karlsruhe and Cambridge: ZKM and MIT Press, 2005). See Félix Guattari, The Three Ecologies (orig. publ. 1989), trans. Ian Pindar and Paul Sutton (London: The Athlone Press, 2000). Michel Serres, The Natural Contract [orig. publ. 1990], trans. Elizabeth MacArthur and William Paulson (Ann Arbor: University of Michigan Press, 1995). For more on this situation, and the positions of artists within it, see T.J. Demos, Decolonizing Nature: Contemporary Art and Political Ecology (Berlin: Sternberg Press, 2016). Anna Tsing, “Unruly Edges: Mushrooms as Companion Species,” Environmental Humanities 1 (2012), 141. Also see: Anna Tsing, The Mushroom at the End of the World: On the Possibility of Life in Capitalist Ruins (Princeton, New Jersey: Princeton University Press, 2015). Donna J. Haraway, Staying with the Trouble: Making Kin in the Chthulucene (Durham: Duke University Press, 2016), 12. See for instance: Hugh Raffles writes of insect love in Insectopedia (New York: Pantheon, 2011); Anna Tsing discusses delectable mushrooms that flourish in the aftermath of ecological destruction in The Mushroom at the End of the World; and Heather Paxson describes microbial cultures enlivening the politics and value of human food in “Post-Paseurian Cultures: the Microbiopolitics of Raw-Milk Cheese in the United States,” Cultural Anthropology 23 (1), 2008). All are cited in Eben Kirksey, Craig Schuetze, and Stefan Helmreich, “Introduction,” The Multispecies Salon, ed. Eben Kirksey (Durham: Duke University Press, 2014), 1-24. Brian Massumi, What Animals Teach Us about Politics (Durham: Duke University Press, 2014). Giorgio Agamben, The Open: Man and Animal, trans. Kevin Attell (Stanford: Stanford University Press, 2004). See Bruno Latour, Politics of Nature: How to Bring the Sciences into Democracy, trans. Catherine Porter (Cambridge, Mass. : Harvard University Press, 2004), 18. Such a new composition would necessarily follow from the “symbiogenesis” that biologist Lynn Margulis defines as the relational ontology of cellular life, as referenced by Donna Haraway, When Species Meet (Minneapolis: University of Minnesota Press, 2007), 15. Stefan Helmreich, Alien Ocean: Anthropological Voyages in Microbial Seas (Berkeley: University of California Press, 2009). [13 Haraway, When Species Meet, 18. [14 See Agamben, The Open; and also Kirksey and Helmreich’s “The Emergency of Multispecies Ethnography,” Cultural Anthropology vol. 25, no. 4 (2010), 545, which makes the same point. 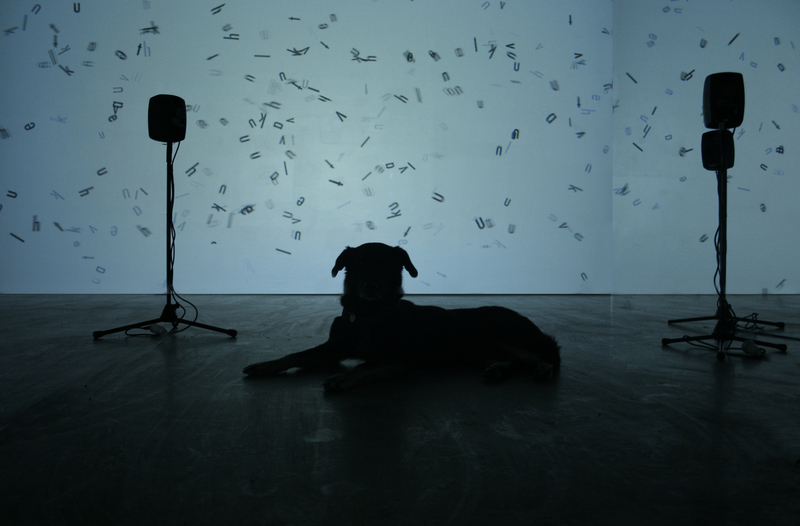 For further discussion of recent artistic engagements of animal culture, see Sven Lütticken, “Abstract Habitats: Installations of Coexistence and Coevolution,” Grey Room (Spring 2015), 102-127. See Laura Gustafsson and Terike Haapoja, eds., History According to Cattle (Helsinki: Into Kustannus, 2015). Terike Haapoja and Laura Gustafsson, “A History According to Cattle,” reprinted in Art in the Anthropocene, ed. Heather Davis and Etienne Turpin (London: Open Humanities Press, 2015), 297. Achille Mbembe, “Necropolitics,” Public Culture, 15/1 (Winter 2003), 11-40. Gustafsson and Haapoja, “Imagining Non-Human Realities,” in History According to Cattle, 109. Ibid., 110. Further on in their introductory essay, they write: “Expressing the viewpoint of an animal in a work of art can, if not bridge, then a least question the gap between us and the Other, whilst at the same time embracing an acceptance of the deficiencies inherent to the chosen methodology...We cannot know how the world might look and feel from a bovine viewpoint. We cannot authentically replicate the experience of cattle. We can, however, acknowledge that such a viewpoint and alternative mode of experience exists. It is the duty of art to expose our blind spots.” (111). Kirksey and Helmreich, “The Emergency of Multispecies Ethnography,” 555. For Arjun Appadurai, “anthropology survives by its claim to capture other places (and other voices) through its special brand of ventriloquism. It is this claim that needs constant examination.” (“Introduction: Place and Voice in Anthropological Theory,” Cultural Anthropology 3 (1), (1988), 20. Jacques Derrida, “And Say the Animal Responded?” in Zoontologies: The Question of the Animal (Minneapolis: University of Minnesota Press, 2003). Gregory Bateson, “Problems in Cetacean and Other Mammalian Communication,” Steps to an Ecology of Mind (New York: Ballantine Books, 1972), 369-83. See Eric C. Brown, ed., Insect Poetics (Minneapolis: University of Minnesota Press, 2006); Susan McHugh, Animal Stories: Narrating across Species Lines (Minneapolis: University of Minnesota Press, 2011). Massumi, What Animals Teach Us about Politics, 8.